This promotional website has been designed to showcase the large range of tyres and mag wheels available to the clients' customers. 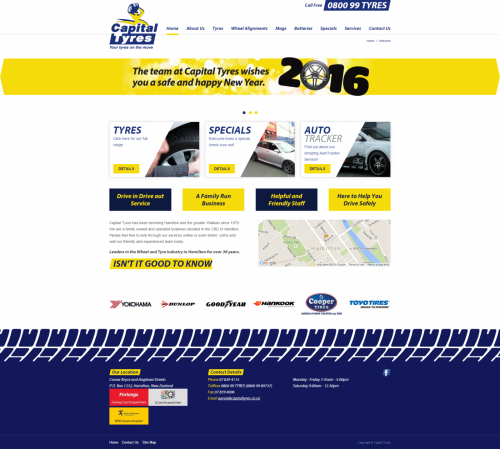 Capital Tyres are leaders in the wheel and tyre industry in Hamilton. They stock a large range of new and used tyres, mag wheels, batteries and operate a Roadside Rescue service.